This vegetarian version of classic bolognese sauce rivals the real thing thanks to umami-rich ingredients like tempeh, mushrooms and the rind from an old brick of Parmesan cheese. Loaded with fresh veggies, this one-pot meal requires a good amount of chopping time, plus an hour or more on the stove to let the flavors meld. It’s time well sent though, as this big ol’ pot of bolognese makes plenty of sauce to enjoy now, with much more for freezing. 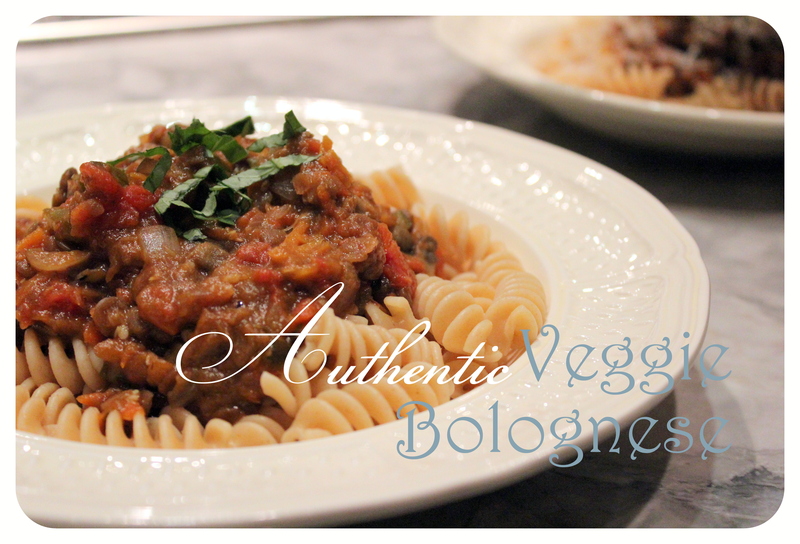 This recipe is a veggie adaptation of Ricardo’s Weekend Cooking Bolognese Sauce. In a large saucepan, brown the onions, celery and tempeh in olive oil. Add the garlic and cook a minute longer. Add the wine and cook until it reduces by half. Add the milk and simmer gently for 5 minutes. Add remaining ingredients (except fresh basil) and cook, uncovered, over low heat for 1 – 1.5 hours. Serve over your favorite whole grain pasta, garnished with fresh basil. You’ll notice that this recipe calls for cooking wine – a controversial subject for some parents. Go with whatever you’re most comfortable with. Good substitutes include alcohol-free wine or a hearty vegetable stock. This entry was tagged dinner, lunch, toddler, Vegetarian. Bookmark the permalink.